Here it is monday again, and I had to clear my design wall of everything and start on a quilt I have to have done by 10/8! Here's what I have to work with-- bought a bag of material at a yard sale and there was a remnant of a quilt in it made from these blocks. 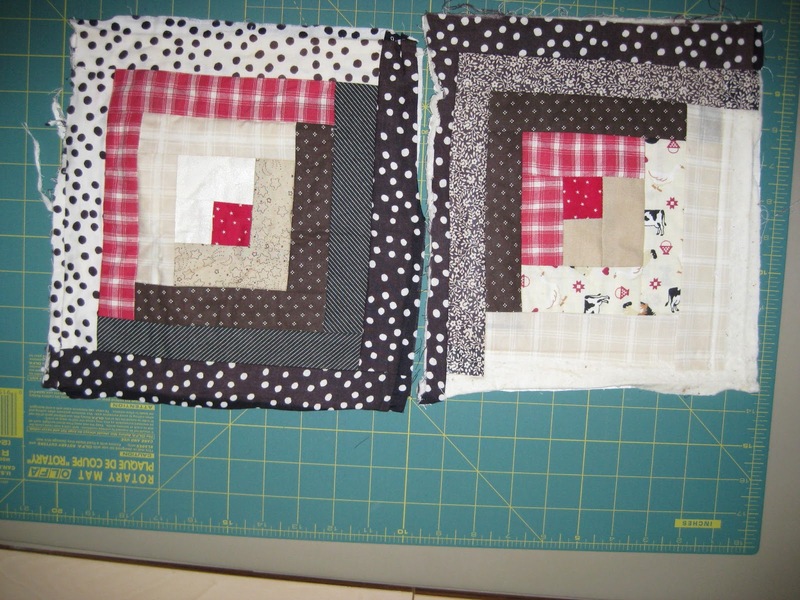 Looked like the quilt was mangled by something or torn by a dog - so was able to salvage 11 blocks from it and they were pretty rough. They were put together as quilt as you go blocks, but very oddly. Some were cut to remove bulk at the seams (sigh). They look like they started out as 10 1/2" blocks maybe. Well, off to work on them as I want to get done by 10/7 so I can ship off to a birthday girl. Wish me luck! PS: Since I bought this bag 2 years ago this will be UFO #16?? Will have to go bakc and check. Now that's a rescue! I love log cabin blocks. Good luck on wrestling these into submission by your deadline. Good luck getting it done on time. Looks like you are going to be busy. Lots of luck to meet the deadline. Sometimes with quilt-as-you-go it is easier to start all over! I hope you make your deadline. Good luck I am not good at finishing others projects. I have a few that are going to stay unfinished. I think you will have fun with this challenge!! 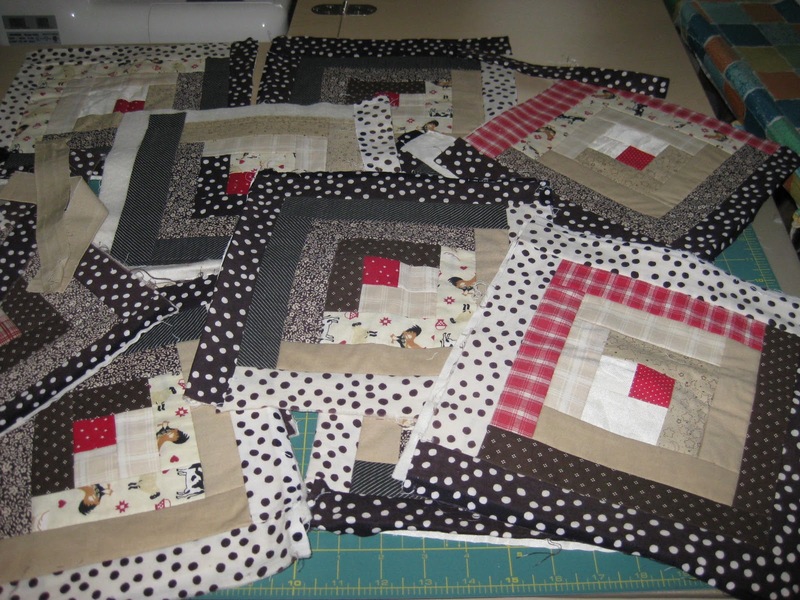 Beautiful log cabin blocks that you rescued. I'm sure you'll manage the challenge and get it done in time. Very cool rescue...show us what you make with them!